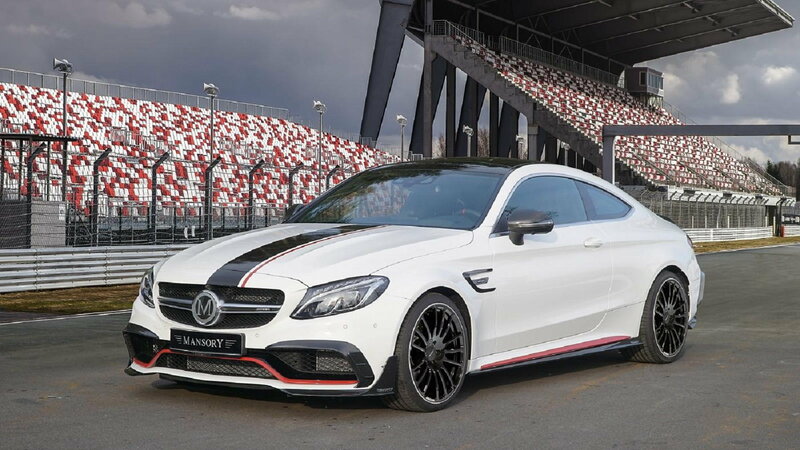 Mansory AMG C63 S Delivers 650HP of Craziness! Slideshow: Mansory puts their expertise on display with a tricked-out AMG C-Class. Mansory Design & Holding is a luxury and performance car modification firm based in Brand, Germany. While their expertise originally began with British automobiles in the late 1980's, the company would eventually branch out to include high-end vehicles from manufacturers such as Ferrari, Porsche, BMW, Range Rover, and Mercedez-Benz. 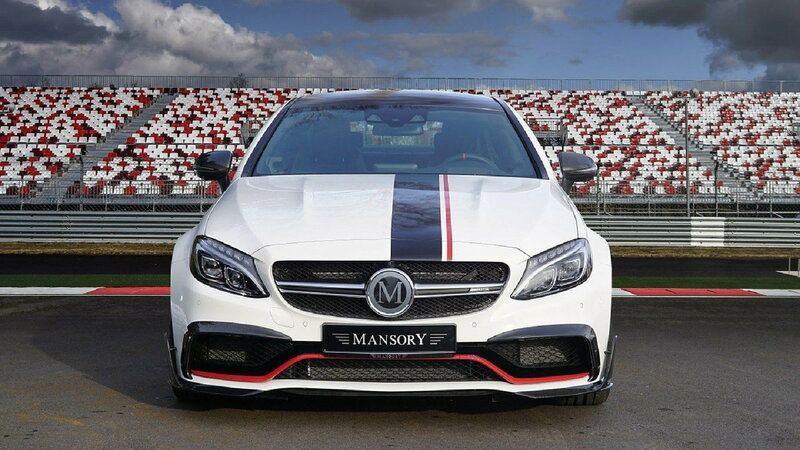 With a focus on styling, tuning, and developing performance parts in-house, Mansory has become known worldwide for their quality, craftsmanship, and often, their downright outrageousness. 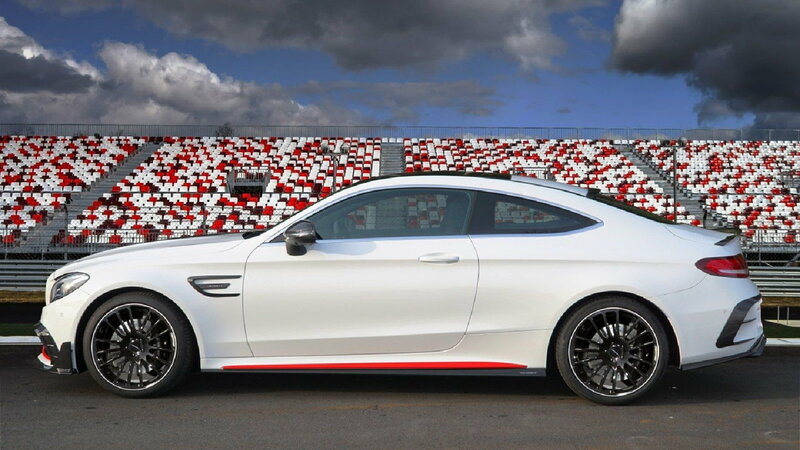 One of their latest creations that has garnered attention is a styling and performance package for the W205 Mercedes-AMG C 63 S.
Mansory's release of a full body kit and performance package for the C63 is quite a showcase of the company's offerings. The carbon-fiber body add-ons were developed to improve aesthetics while also enhancing the aerodynamics of the car. Beginning with the front fascia, a pair of extended front lips provide additional downforce on the front axle along with the oversized splitters that also aid in force-feeding air into the cooling system. >>Join the conversation about the Mansory C63 S right here in MBWorld. 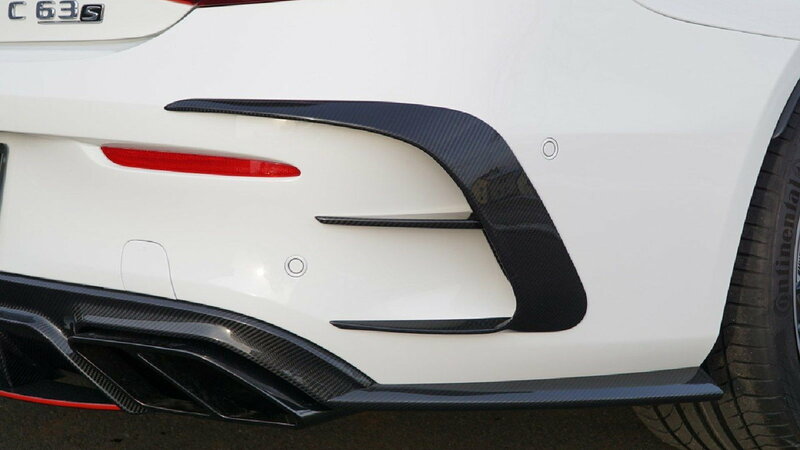 Running the full length of the car is a matching pair of carbon side skirts that continue to influence airflow coming off of the front of the car. For aesthetic purposes, Masonry added a few additional carbon-fiber accents with a pair of mirror covers, side logo covers, and a subtle roof spoiler. Masonry has also installed a set of their fully forged M5 wheels (20x9"F/20x10.5"R) finished in gloss black and wrapped in max performance CONTISPORTCONTACT summer tires courtesy of Continental. The carbon aero bits continue at the rear of the car with a small wing atop the decklid. Perhaps one of the coolest features of the entire body kit is the aggressive rear diffuser and rear extractor vents that really make the rear end of the car pop. 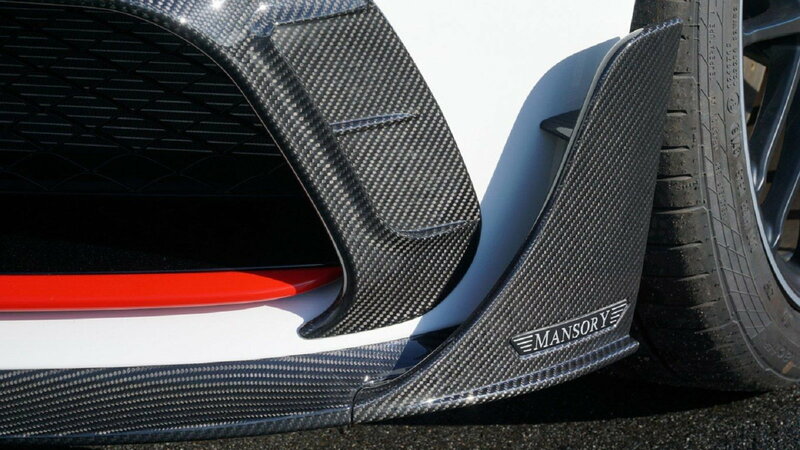 Although each of these pieces can be purchased individually from Mansory, the diffuser does fit best with their proprietary exhaust system as shown. Although not pictured, Mansory also offers various performance upgrades to extract the most performance out of the C63 AMG package. 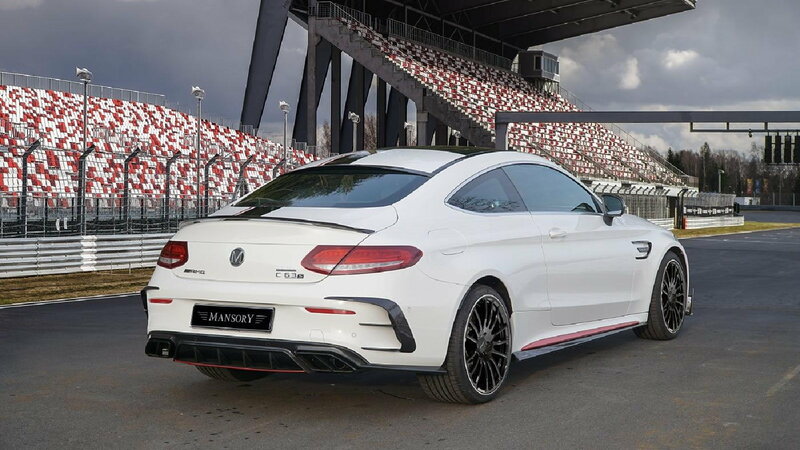 The 4.0L twin-turbo V8 produces 503 horsepower in stock guise, but Mansory's tuning that adjusts fuel mapping, ignition timing, and turbo boost combined with their exhaust system (midpipes & mufflers) churns out an additional 147 horsepower and 111 lb-ft of torque. Additionally, a set of tuned suspension springs not only lowers the ride height approximately 1", but also lowers the center of gravity for improved cornering and ride quality. The Mansory C63 S is finished with illuminated door sills, machined aluminum pedals, and a set of their own floormats. That said, Mansory welcomes special requests and can add all of the carbon fiber, aluminum, Alcantara, or wood trims that your heart desires. While many (including MBWorld's content editors) would consider these modifications too extensive and intrusive to the beautiful original design of the C-Class, there are those who find the aesthetic and performance alterations to be very attractive indeed. What do you think of Mansory and their C63 S?